The Video Strategy Workshop presents an insightful and revolutionary approach to strategically implementing video in your organisation. Discover a unique framework to increase brand awareness, lead generation and conversion rate using the power of video. You will develop a 12 month video content strategy and the knowledge to implement it yourself or pass on to your marketing team. Delivered by the expert video strategist and producer Cristian Trujillo, ex-PWC, engineer and videographer. Lead Generation Using Video on Social Media. Techniques and Tips to Film Video. You will receive a book written by Cristian that contains all the content described above. You can use this book to produce your own videos, to brief your marketing team and implement this strategy or to engage the right videographer to do all of this for you. Cristian is an engineer born in Chile. He arrived in Australia in 2007 with a 4-month student visa, no English and no contacts. Before coming to Australia, Cristian completed a double bachelor degree in Business Management and Computer Science and developed a career at PwC as a business consultant and information security specialist. In Australia, he worked cleaning toilets and delivering milk for 6 months until he could learn the language, after which time he found a freelance job as a junior video editor at UnseenTV (online TV channel in Sydney) where over 3 years he mastered the skills of editing, filming, production and directing, becoming head of production for the company in 2010. In 2012 Cristian founded CreativeCreations.tv, a high-end corporate video production agency based in Sydney. Since then he has produced and directed over 600 high-end video productions across Australia, Asia, South America and Europe for online and TV broadcast and across a wide variety of industries. Cristian has combined his engineering background, business experience and talent for videography to develop a ground-breaking framework to strategically implement video in any organisation, offering corporates a unique approach to video productions that ensures their videos not only look great, but align to their business goals and strategy. 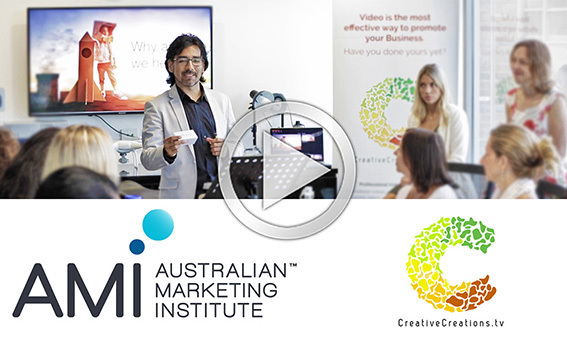 Cristian runs exclusive Video Strategy Workshops, Masterclasses and private corporate training sessions and has worked with over 350 leaders and marketers in Australia, USA, New Zealand and South America to design their video strategies and grow their businesses. Cristian is available for speaking engagement and private training.